This summer, we’d like to return and talk about some of our most useful, engaging, or popular posts. Today’s post, written by Jackie in 2015, shows us how to engage teens who may be more resistant to writing. Please return to this topic and talk with us in the comments–how do you jumpstart your reluctant writers? Brittany’s PTSD was reasonable. When used without encouragement or prompting, writer’s notebooks can become tedious and painful. Students can easily learn to loathe this tool that should otherwise be fun and stimulating. 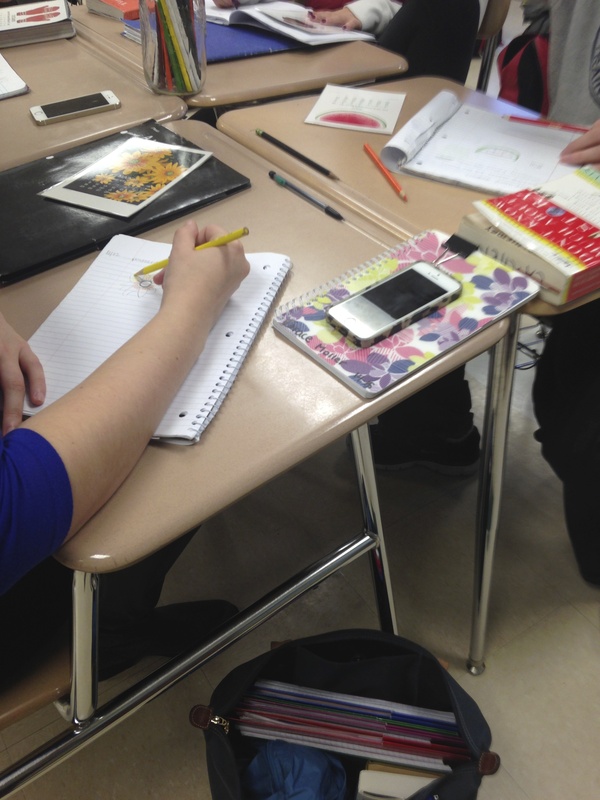 In turn, when my students explore their writing, I make an effort to help fuel their ideas and interests through a variety of writing activities and exercises that oftentimes help even the most particular writers. Prompt Board: At the beginning of the year, I ask students to write 3-4 pages in their writer’s notebooks. This helps students establish a writing routine and it helps me to learn about my students quickly. That being said, many students stall when it comes to putting pencil to paper. After running into this problem early on, I began posting five writing prompts per week on the side of my main white board. These topics included personal questions about students’ interests or extracurricular activities as well as sentence starters and fictional scenarios intended to lead into creative writing. I compiled the majority of these prompts off of social networks like Twitter and Pinterest, but I also use sentences from my book talks during the week as prompts as well. I post these prompts on my website in a separate section so students can always go back and revisit the prompts from past weeks. Ideas Shelf: Teens love thumbing through the pages of oddly shaped writing books. One of my most well-loved books is a cube shaped book called The Writer’s Block, which has “786 ideas to jump-start your imagination.” That being said, there are plenty of fantastic average size books that I store on an ideas shelf, which also includes 642 Things to Write About, Now Write: Nonfiction, Now Write: Fiction Writing Exercises From Today’s Best Writers and Teachers, and 100 Quickwrites by Linda Rief. When stuck, students gravitate towards this shelf. In addition, with the help of my Writer’s Club, I am hoping to add a jar of words, images, and prompts this year for students to pull from whenever they are struggling. Self-Guided Activities: As the adviser of Writer’s Club, I always have trinkets on hand to help students put their pencils to paper. Some of my students’ favorite toys include Rory’s Story Cubes, which are dice with small pictures on them. 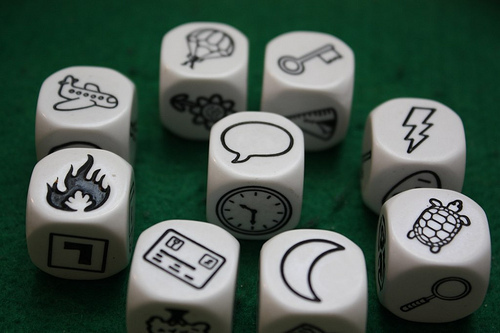 Students can toss a handful of dice and incorporate the images into a story. I also have a collection of old skeleton keys I bought at a craft store. Tied to each key is a tag with a sentence starter that discusses where the key might have been found or what the key opens. Another easy activity involves collecting paint strips from your local hardware store and having students write stories involving the absurd color names on each strip. Finally, I love utilizing found photography like the pictures from Miss Peregrine’s Home for Peculiar Children or old calendar images to get students thinking. I have a collection of small Dana Heacock calendar images, which are brightly colored drawings of New England scenery or objects. These images oftentimes stir up students’ memories of childhood and lead to fantastic personal stories. How do you help inspire your reluctant writers? What methods do you use to jump-start their independent writing process?